This is a magnificent Bowerbird Natural Large Trinket Box. 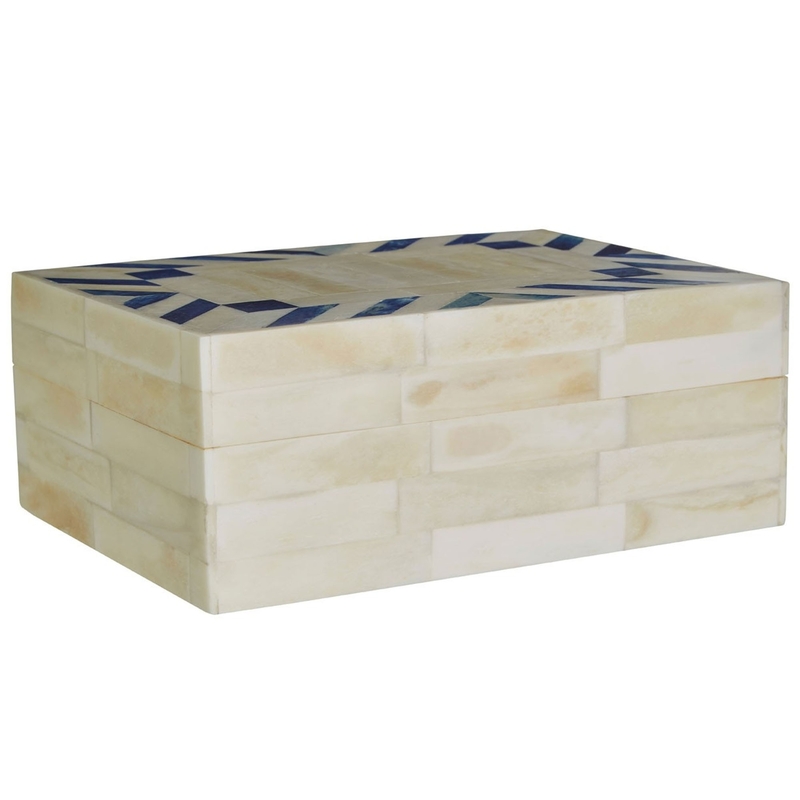 This trinket box features a lovely design that's very sleek and eye-catching, as well as looking very modern and homely. The combination of the white natural colour and the blue arrow detailing on top creates a very eye-catching and precious design.